Want to learn Windows API for Game Programming. Shall I learn it separatley or, from A Game Pr. Orientated book? 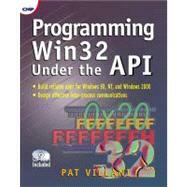 My book Beggining Game Programming is based in C but uses also Windows API. 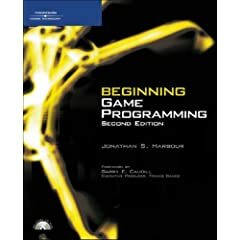 As I'm about to finish the theory of C I want to learn Windows API separately, because the book describes it very shortly -despite the fact that it is reffered to a begginer- I found the following book but it seems to me like that API has tools for purposes that exceed game progamming. If thats true it would be a waste of time, and i should get a book that learns you API for Game programming. Do you know any? Replies To: Want to learn Windows API for Game Programming. Re: Want to learn Windows API for Game Programming. Actually you don't even have to learn the win32 api. I learnt win32 api only as much as needed to put a window on the screen. Then I moved on to opengl and directx. But you can make entire games with just the win32 api alone. And there are books that'll teach you how to do that (one i know is michael morrison's book teach yourself game programming). And I know of game programmers who don't care about one bit of win32 api, because there are other tookits like GLUT, DXUT and stuff. Do some research and find a library that you like the most. If you'd asked me two years ago, i'd have told you to learn some functional win32. Now there are just so many good choices you can make it's very difficult to say one (and I believe win32 is dying too). But since you've just finished learning C theory, my opinion is to get a game engine/library and go from there. I'd recommend allegro or torque (they are so different. you can make an easy choice there).